Beautiful dolphins. Nice swimming. Be careful - you can not swim with dolphins if you more than 90 kg! We will come again! 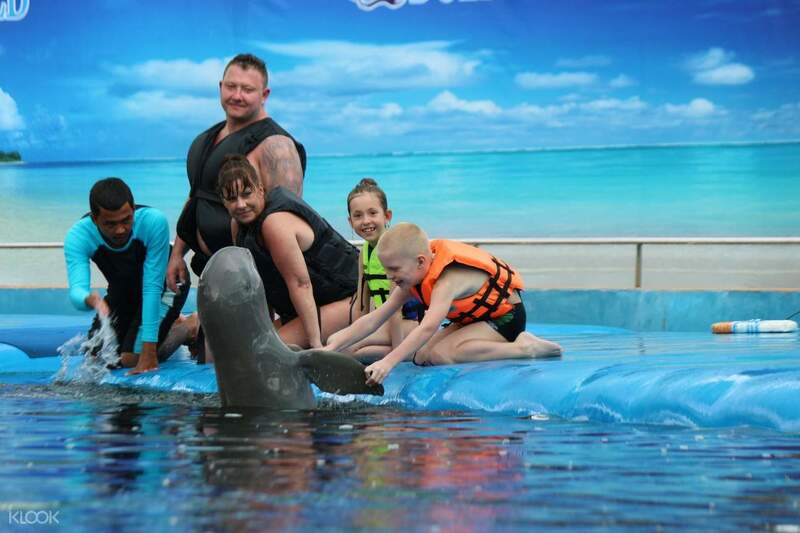 Get ready for an exciting marine adventure when you visit Pattaya Dolphin World. Meet your favorite intelligent sea creatures and get the chance to witness the very rare ‘pink’ dolphins in action! 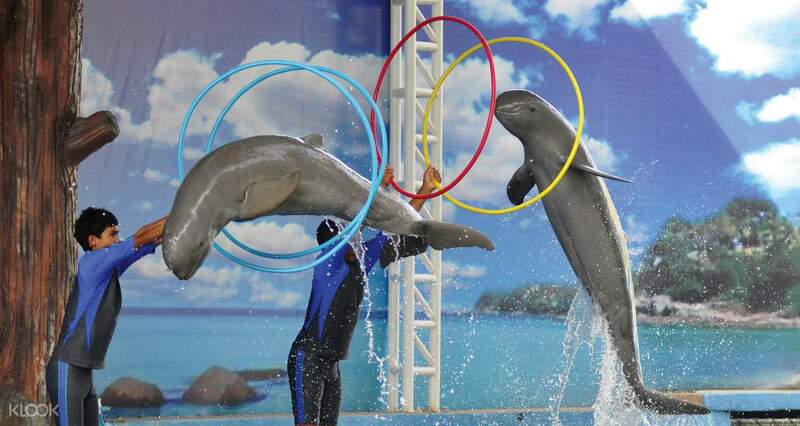 Choose from various dolphin show schedules available at the location. Feel like a true marine biologist and have the option to swim with the dolphins for 30 minutes. Don’t forget to read the guidelines about what and what not to do before swimming with these cute fellas as they are very sensitive and susceptible to harm. 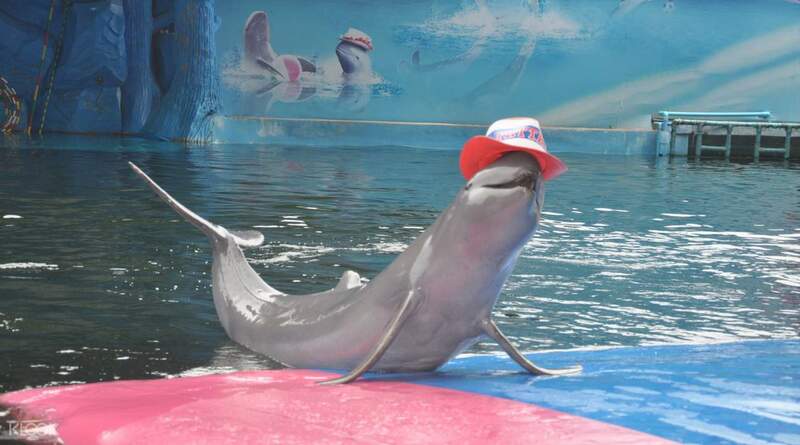 Learn and understand the life of dolphins and enjoy other attractions, rides and exhibitions inside the park! Awesome show for kids as well as adults. Its a show of 35 mins which keeps you involved throughout. Booking through Klook is comparatively much cheaper as compared to onsite charges. Ticket through Klook includes free Target shooting, feeding of goats and visit to tin toy museum. Awesome show for kids as well as adults. Its a show of 35 mins which keeps you involved throughout. Booking through Klook is comparatively much cheaper as compared to onsite charges. Ticket through Klook includes free Target shooting, feeding of goats and visit to tin toy museum. Nice place and wonderful show... The place is a attraction for kids. A place to visit with family. Nice place and wonderful show... The place is a attraction for kids. A place to visit with family. We are family of four members. Have a great fun and staffs are friendly. Not much visitors there, however, you are reminded to make a reservation at least one day before. It is totally a good price-to-value activity which you are not worth to miss. Great fun. We are family of four members. Have a great fun and staffs are friendly. Not much visitors there, however, you are reminded to make a reservation at least one day before. It is totally a good price-to-value activity which you are not worth to miss. Great fun. we enjoyed so much swimming with the dolphin. the show was just so so but swimming with dolphin was a valuable experience. you can touch, feel and have a wonderful time together with the dolphin. 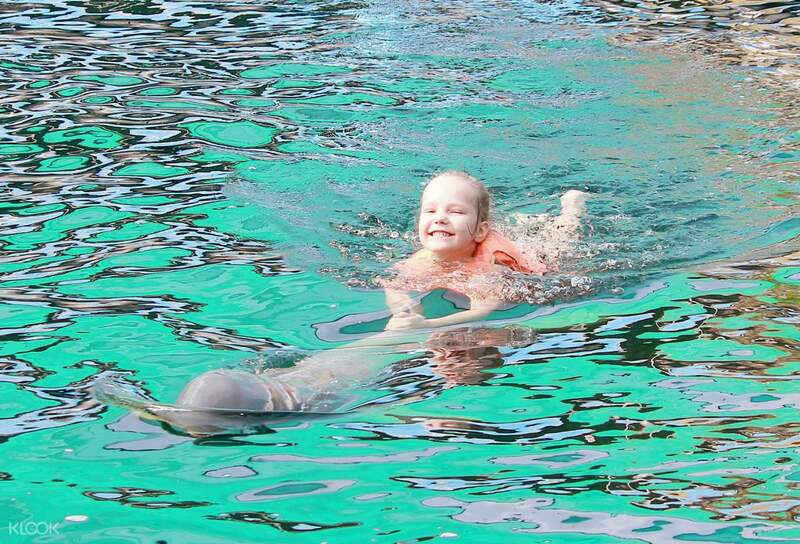 we enjoyed so much swimming with the dolphin. the show was just so so but swimming with dolphin was a valuable experience. you can touch, feel and have a wonderful time together with the dolphin.